The Vatican has sidestepped EU banking rules by turning to a Swiss company to restore card payments in its museums after they were suspended over concerns that the city-state was not doing enough to prevent money laundering. Vatican spokesman Federico Lombardi said Swiss card payment specialist Aduno had been contracted to provide the service, blocked for the last six weeks. "Credit card payments in the state of the Vatican City are working again, and so pilgrims as well as tourists who visit the church of St. Peter's every day can now use the ordinary payment service, including paying for the Vatican museums," Lombardi told reporters. The Italian central bank prevented long-standing provider Deutsche Bank (DB) from continuing to offer payment services since the start of 2013. The Bank of Italy said it was not required to approve the new arrangement because Aduno was not based in the European Union. In a statement explaining its decision last month, it said EU law prevented EU banks from operating in non-EU states unless they had an adequate supervisory system or were deemed "equivalent" for anti-money laundering purposes. The Vatican failed on both counts, it said. A spokeswoman for Aduno, which is owned by Switzerland's banks, said the company had started to provide card payments services at Vatican museums Tuesday, and would offer online payments for the museum website in the coming days. She said card providers MasterCard (MA) and Visa (V) had given their approval. Pope Benedict, who announced Monday he was planning to resign at the end of February, had made cleaning up the Vatican's reputation for murky finances one of his priorities, introducing new rules and hiring a top Swiss financial lawyer to raise standards to international levels. But a report last year by European anti-money laundering group Moneyval found the Vatican still failing to measure up in seven of 16 key areas, concluding that it still had work to do to prove the existence of an effective supervisory regime. 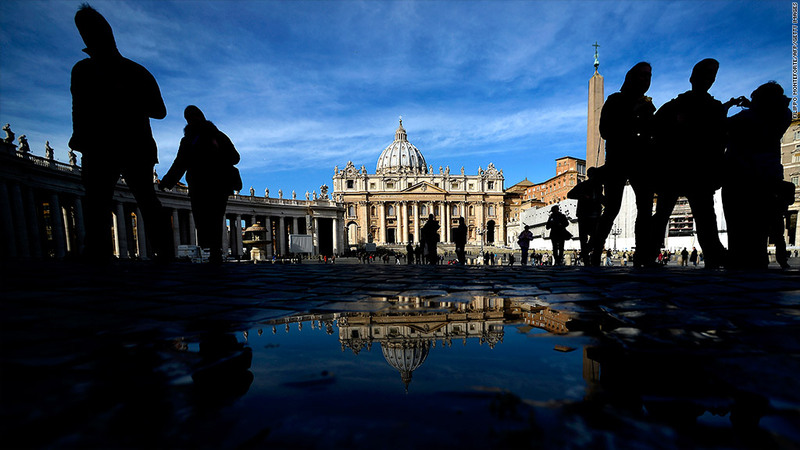 The Vatican bank's global reach, high volume of cash transactions and a lack of information about some charitable organizations could make it vulnerable to money laundering, Moneyval said.